Any time you cast on, bind off, change colors, or start a new ball of yarn you will have a little ‘tail’ of yarn. 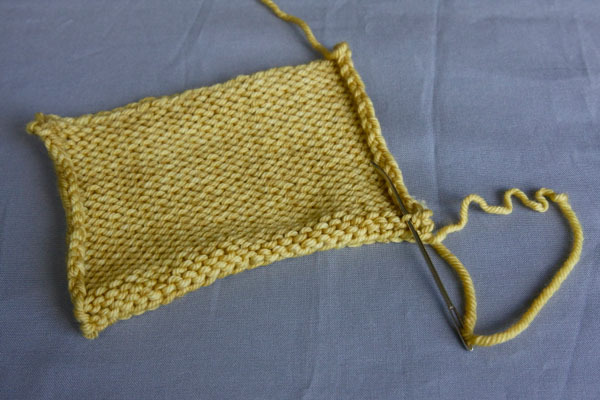 Once you are finished with your knitting you will want to get rid of these tails by weaving the ends into your knitting. While tying a knot and snipping your yarn close is tempting, DON’T DO IT! 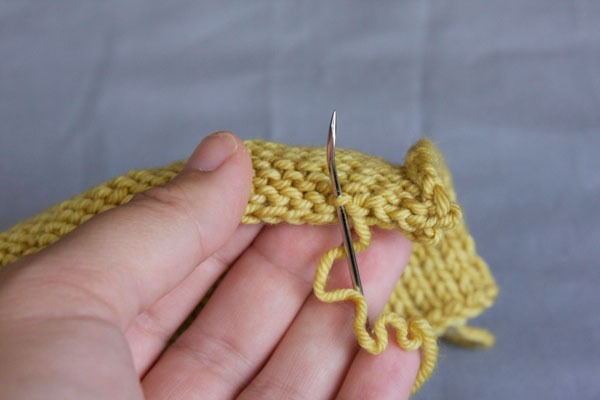 Even if you tie a knot (which is a faux pas in knitting, but that’s a story for another day), simply snipping the yarn close will not keep your knitting from unraveling. 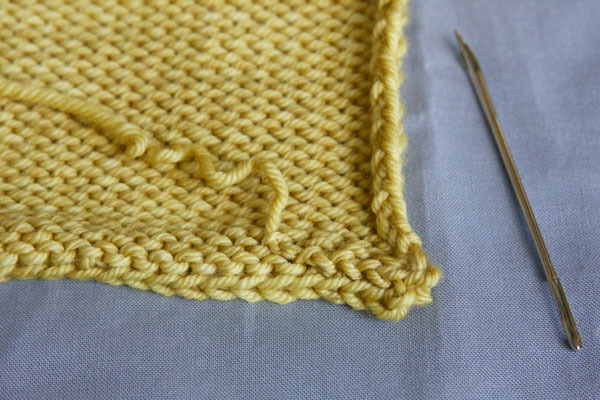 You must weave your ends through your knitting, helping the ends to ‘mesh’ with the rest of your knitting. After a little bit of wear your ends will become part and parcel of your finished item, no chance of them slipping loose! Weaving in ends and sewing on buttons are always the last things I do for my knitting. 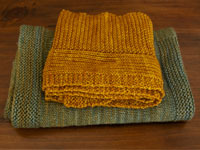 I weave in my ends after I have blocked my knitting and done any sewing that needs to be done. So let’s get finished! 1. 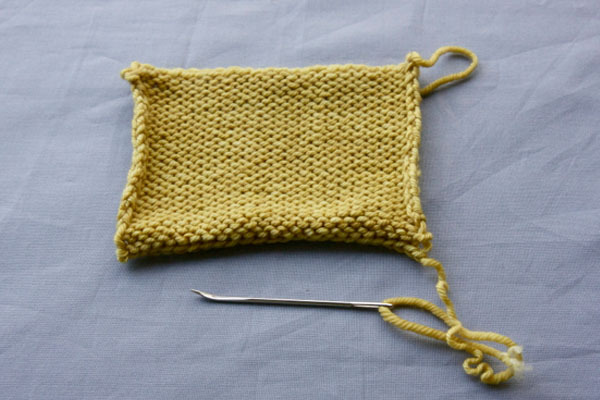 Thread your darning needle with your loose end. 3. 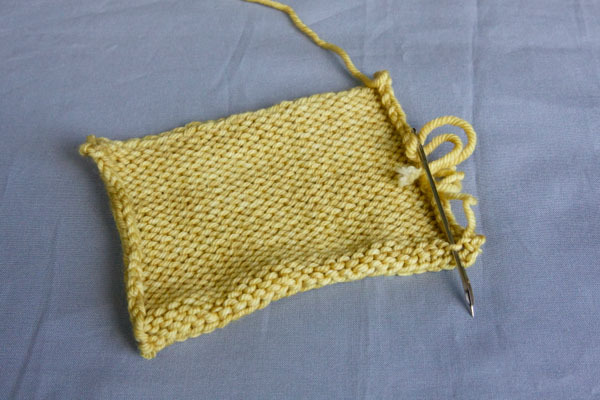 For the last couple of stitches, split the yarn. This allows for a maximum ‘meshing’ of your end and your knitting. Do this for another 2 or 3 stitches. Repeat these 4 steps for all the ends in your work. Learning to knit or teaching a friend? 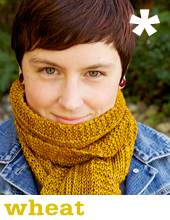 Check out The Simple Collection – a step-by-step learn to knit program with 8 excellent free patterns, and clear tutorials to guide you. 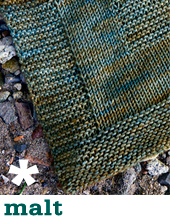 If you are a knitting teacher, we have created PDF tutorial layouts that you may find useful to hand out in your class. Your tutorials are very helpful! Thanks. The best tutorials. Thank you. Question about step three . . . I am not quite sure I understand. Do I split the tail yarn and weave it in separately? 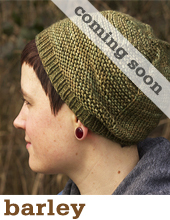 Or do I go through the yarn that is in the project, going through the middle of it? Loved it, thank you, I keep learning.